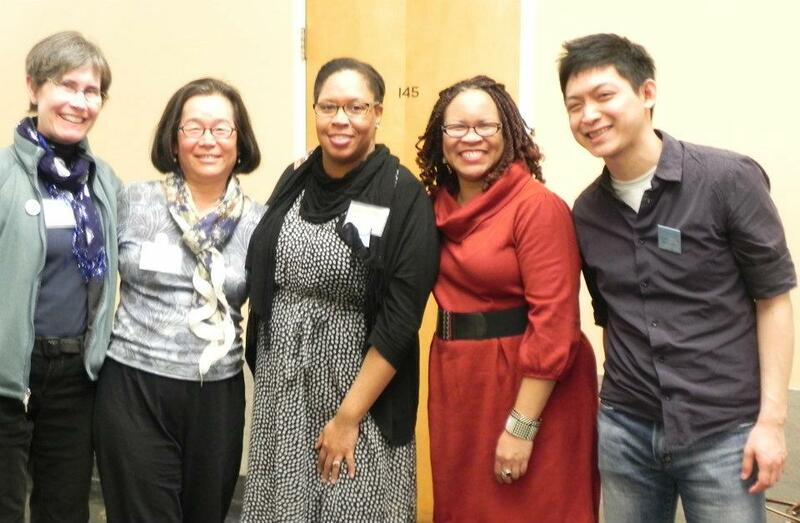 Members of KPK, CeeFu (Crystal S. Anderson, PhD), Nunee (Kaetrena Davis Kendrick, M.S.L.S.) and JaeHoon (Mark Byon) presented at KPOPCON12, the first collegiate conference on Kpop at University of California at Berkeley on January 28, 2012. Our presentation, Hello Hallyu: Kpop Fictions, Facts and Fans in the Global Academy, covered questions about Kpop fans, artists and the industry. Watch the highlights from our presentation! You can also view the companion Prezi presentation in full here. KPK’s presentation centered on Adeline Chia’s article, “Sick of K-pop Cult,” published in Straits Times on December 8, 2011. This article, widely circulated throughout the Internet, caused quite the stir among Kpop fans. KPK members saw it as the perfect touchstone for our presentation, as it included many of common criticisms of Kpop. One of the things Chia fails to do in her piece is interact with fans, the very subject of her article. CeeFu shared some of the results of KPK’s ongoing scholarly research on fans of Kpop. Using data collected by two KPK surveys on Kpop, she revealed some surprising results on what Kpop fans think about Kpop, and why. She covered favorite groups, both in general and by country, and shared some of the top reasons why Kpop fans outside of Korea like it. Fans routinely state that they like Kpop for the quality of the music and dancing, the variety of concepts, the interaction among members of groups and the fandom itself. Fans even have reasons why they do not like certain groups, and they talk about them in rational ways. Many of these results challenge Chia’s assumptions in her piece. You can view CeeFu’s full presentation here. Chia describes Kpop and its fans in one way: overwhelmingly negative. JaeHoon looks at the variety of meanings for Kpop when it enters an American context. He examines the presence of Asian popular culture in American popular culture, and what that means for the visibility of Asian Americans. If Asian Americans tend to be invisible in American culture, how does Kpop fare? He also touched on the impact of hybridity, or the fact that Kpop represents a mixture of Korean and American cultures, and that Kpop uses American cultural forms to speak to issues relevant to Koreans and Korean Americans. Chia’s article is just one example of the kind of reporting that goes on in Kpop, reporting that fans should know about as they get information about their favorite groups. Nunee reveals that Kpop sites often do not operate according to a standard, so it is up to fans to decide on the validity of what they read. She presented examples of how individuals play fast and loose with credentials and shaky ethics that include instances of censorship and gatekeeping, or controlling the release of information. She provided tips for fans on how to evaluate their sources of Kpop information. But wait, there’s more! After the presentation, KPK made new friends: Sandra Park and Regina Oldham, pictured above. We continued our conversation about Kpop long after the presentation! This was KPK’s debut at a major conference, and we once again thank Wes Jackson and his colleagues for inviting us to KPOPCON12!